New Chase Freedom card members can get a $150 bonus after $500 in purchases, and a $50 bonus for each new card member that you refer for up to an extra $500 cash back in referrals. Check out the Chase Freedom Credit Card to apply online for your cash bonuses, or you can apply directly on the Chase.com website or in your local Chase Bank branch. You’ll receive a $150 Chase Freedom Card bonus and earn 5% cash back on up to $1,500 in purchases in bonus categories each quarter as well as unlimited 1% cash back on all other purchases with no annual fee. The Chase Freedom bonus has gone as high as $300 in the past, but that offer hasn’t come around for years, and the $150 offer has been the highest bonus available more recently, while $100 was previously the standard offer for a long time. You may also be interested in the Chase Freedom Unlimited Card to earn 1.5% cash back on all of your purchases with no quarterly 5% cash back categories. The Chase Freedom Credit Card is offering a $150 bonus after you spend $500 on purchases within the first 3 months of account opening. 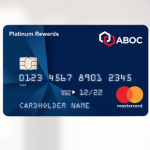 It’s important to note that this product is only available to you if you do not have this card already and you have not received a new card member bonus for this card in the past 24 months. Chase Freedom is a cash rebate credit card that provides new applicants with cash bonus promotions and excellent card features. The Chase Freedom card has no annual fees, so you’ll never pay an annual fee with this cash rebate card from Chase Bank. The Chase Freedom Offers 5% Cash Back in select purchase categories that rotate on a quarterly basis as well as 1% cash back on all of your other purchases. You will receive 5% cash back on up to $1,500 in purchases from select merchant categories each calendar quarter throughout the year. The special 5% bonus categories include purchases like restaurants, gas stations, wholesale clubs, groceries, travel, and much more. Your cash back rewards will never expire as long as your account is open. The Chase Freedom Card Refer-A-Friend Program is currently offering a $50 bonus for each referral. Once you open your Chase Freedom account or if you are already a member, you can gain access to the referral program to earn up to $500 cash back for referrals. You’ll get $50 cash back for each friend that you refer for up to 10 friends ($500 in total cash back) who get and use their new card. Plus, each of your referrals can qualify for $150 in new Chase Freedom account bonuses, so everybody benefits. Please feel free to start a Chase Freedom referral conga line or post your referrals in the comments below this article. 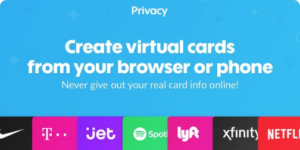 The great news is that Chase is once again offering the Twitter referral option for the Freedom card, so that you can access your own unique referral link at this time to share anywhere, instead of being required to refer new applicants by email only. You can review more details about the Chase Bank Credit Card Referral Program as well, as you may have other Chase cards that will qualify. Chase Freedom is a great card for your everyday spending, as you’ll earn 5% cash back in popular spending categories that change on a quarterly basis, and you’ll earn 1% cash back everywhere else all of the time. Plus, there is no annual fee for this credit card. New card applicants will earn $150 bonus cash back after you make $500 in purchases in your first 3 months of card membership. You’ll enjoy new 5% cash back earning categories every 3 months like gas stations, restaurants, and airlines, plus it’s free to activate your bonus categories each quarter. You’ll also get unlimited 1% cash back on all other purchases. Card members can also get up to an additional 10% cash back when you shop online at select merchants through Chase. You can redeem your earnings for cash back, starting at only $20, which you can choose to receive as a statement credit to your card account or a direct deposit to your Chase Checking or Savings Account (as well as most U.S. checking and savings accounts). You can also redeem your rewards for gift cards from a variety of merchants, shop with your points at Amazon, or use your points to book travel with Chase Ultimate Rewards. Your Ultimate Rewards will never expire as long as you are a card member. The Chase Freedom card is one of the best all-around credit cards, so take advantage of this Chase Bank cash rebate credit card today. Other popular Chase credit cards include the Chase Sapphire Preferred, Sapphire Reserve, and the Ink Business Credit Cards, which all offer new applicant incentives. Earn a $150 bonus with Chase Freedom. I can be rewarded too if you apply here and are approved for the card. Learn more. Here is my link for $150 bonus! I have a Chase Freedom link, its a 150 bonus and the card has rotating 5% categories. There are reports of it being accepted with a lack of a large amount of credit history. Earn $150 after $500 spending in 3 months. Earn $25 when adding an authorized user in the first 3 months. I WILL ALSO COMPENSATE YOU AN EXTRA $15 FOR USING MY LINK. I will send you the $15 via Venmo, Amazon GC, or Paypal after I’ve confirmed the bonus. Message me at ptc12@pitt.edu for any questions or concerns. Is there a referral for Chase Freedom Unlimited? Here’s my referral link for $150 cashback after $500 spend +$25 when you add an authorized user. Get in on the 5% cashback at grocery stores and wholesale clubs before the end of June! Here’s latest link for $175 bonus or 17500 UR Chase freedom for $500 spend $ adding an authorized user. I would appreciate if you use the below referral. I was wondering when this $150 bonus offer will be over? I just referred my friend and they said they would email her within a week. Will the deal be over then? If you want a referral link for Chase Freedom please email me at humvee7@live.com and I’ll send you a link ASAP. Love this card!! $100 bonus here!! Here’s my link, if anyone wants the bonus! Here is my referral link for chase freedom $225 bonus. Feel free to sign up if anyone is interested. Just got the Chase Sapphire Card, which gets you 2x on travel! 40,000 bonus points for signing up too. Here’s my referral link if anyone’s interested. Yes, they’ve offered $200 in the recent past, and I’ve even seen it go as high as $300 in the past, so waiting for a better deal is always a good option. The $100 bonus is their standard offer. My sister just applied and got her Freedom card a few weeks ago. Do you know if this one of those deals where if she calls, she could get the latest referral instead of just the $100 one? Thanks! If anyone is wondering, the answer is yes! She was able to do so via secure message last night. Just as a datapoint, both my accounts were not eligible for referral bonus initially, but after I asked once for my CSP, and twice for my Freedom(through secured messages), the reps signed me up! That’s good to know, appreciate the tip. that sounds weird, you should be carefully putting out your phone number like that. Currently get 10% off on Amazon.com using Chase Freedom until the end of the year. Remember to activate your rotating categories after sign up and activation of your card to receive your 10% off on Amazon.com. With Chase Freedom you get 0% interest for your first 15 months, no annual fee and personally I have made 375 dollars in cash back since I got my card last year December. The cash back from this card paid for my rental car for a week and more. I wish you much success with the Freedom card as well. Online enrollment is actually very easy. You can also call Chase customer support to enroll in new quarter 5% cash back.